Photography project 'Selfie Harm' tasked teens with editing their portraits for social media Photographs by Rankin used with permission. A new photography project called 'Selfie Harm' from British photographer Rankin tasked 15 teenagers with editing portraits of themselves until they believed the images were 'social media ready,' highlighting their internal ideas of 'perfection.
' The image editing and filtering was performed with a readily available photo app, one of thousands of similar products offered through popular app stores. 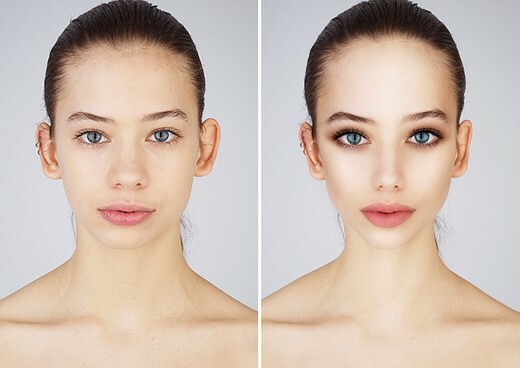 Though these industries have shifted their editing practices in light of public discussions and backlash, the average person has more access than ever to tools for transforming their own digital appearance. The technology is, among other things, 'encouraging a disturbing culture of homogeneity,' the photographer notes. They are free, accessible, easy to use, game-like and (I think) much more dangerous. When doing research for this project, I played with these apps a lot to understand the appeal. They're addictive, very impressive and you can have a lot of fun warping, changing and reimagining your appearance. But it's when people are making an alternative or 'better' social media identity that this becomes a mental health problem. Instead of simply telling people to stop, we need to accept that this is a complex issue; the technology is here and it's here to stay. But we need to challenge the way image manipulation is being used and abused in the wider world. Selfie Harm is my attempt to get people to talk about the issues threatening mental health today. Photographs by Rankin used with permission.